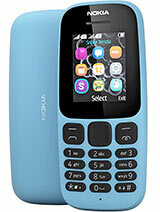 pls guide me ,,,i'm seriously considering to buy dis fone,,pls tell me your experience of d fone???? How does the sound quality...Is it great??? plz tell me which is good, k550i or k810i. This is an awesome phone. A real treat . Great camera , a very rare Xenon flash , great software compatibility , really soft keypad , rather every feature is simply great. The best buy for this price as well as this category. When it's new and until the joystick stops working it's great. My joystick has stopped working properly, now something that should take a few seconds can take a few minutes. Trying to scroll your calls list and dialing people you don't want to is bad. Not being able to adjust camera exposure is bad etc, etc, etc. Heard that K810i got joystick problem?? what abt frm ur experience? i really want to buy this phone.. but having a k550i with me am confused whether to go for k810i or not.. so plz suggest me an opinion..
srinivasans, 21 Jan 2009best to buy k550; its very best mobile compare to this ;Hey, Why u suggested to go for k550i, plz tell me if any specific reason is there. bcoz i already have k55oi, and am looking for k810 i now.. so plz tell me before i buy it.. Please suggest me an opinion on this, i have a k550 i, i would like to buy k810i since its 3.2 mp camera mobile. is it worth that i leave k55oi and go for a k810 i? please suggest me..
Best phone from the 3MP camera phones. hey dude dont go for a second hand better go 4 a new 1 around 11K or buy any other Sony Erricson @ u want!! i got this wonerfull3 monthes ago but joystck dont work probably 3 weeks ago only da down direction ihad formatted da phone but no change happend plz tell me what can i do ??? Total of 3866 user reviews and opinions for Sony Ericsson K810.